Eighty five students from Darien High School were inducted as new members of the National Honor Society in a ceremony held Tuesday Jan. 29 in the DHS Auditorium. Members were selected by the chapter’s Faculty Council for meeting high standards of scholarship, service, leadership, and character. Sophia Talwalkar, Evan Tong, Perrin Trask, Emma Williams, Samuel Wilson, Cecilia Winegar, Nicholas Witkowski, Meghan Wood, Kai Zhou and Alexis Zitzmann. 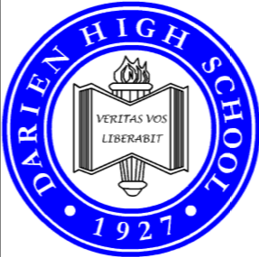 Each year, the Darien High School chapter sponsors several service projects for the school and community, which in the last few years have included tutoring students, assisting during Open House and volunteering in the community. The National Honor Society ranks as one of the oldest and most prestigious national organizations for high school students. Chapters exist in more than 15,000 high schools and, since 1921, millions of students have been selected for membership.